Imagine … a building whose colorful facades generate electricity. You no longer have to imagine this active building asset. It is no longer a dream. ISSOL is a reality. To make it more efficient, it is associated with the CSEM, Swiss Center for Electronics and Micro-technology, a public-private research center based in Neuchâtel. ISSOL has been offering architects with innovative solutions that can integrate Photovoltaics in any construction for the past ten years. The motto is BIPV. Meaning Building Integrated Photovoltaics. This concept, associated to the energy of tomorrow – taken up by Jeremy Rifkin- is to construct architectural structures, for public utility buildings and buildings for industrial purposes, which generate electricity throughout the day. It implements a triple objective: the aesthetic design of a building looking to the future, enhancing the status of the brand image of a company through its buildings and cost-effective production of clean electricity. Compared to the current solution of solar panels that are common on roofs, ISSOL has received prestigious awards and contracts in Europe. It is constantly innovating. 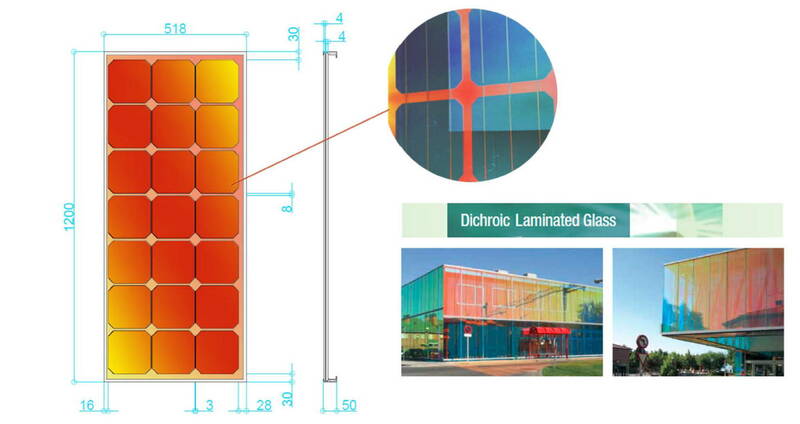 At present, it combines an attractive printing on glass substrate and the photovoltaics technology. Here it offers active facades that can be colored, imitating wood or marble. It manufactures glass products equipped with mono-crystalline photovoltaic cells, to which serigraphy is applied based on nano-inks which has an ISSOL secret so that the solar panel has an uncanny resemblance to an ornamental facing. With this difference it becomes active energy! The ISSOL technology is already being offered to architectural firms as a real alternative to conventional building materials. To make it more effective in offering performance that can be quickly made profitable, ISSOL has found an ally renowned for its efforts in research and development: CSEM or Swiss Center for Electronics and Microtechnology. This high-tech facility, located in Neuchâtel, cooperates with prestigious universities and polytechnic institutes of Switzerland. It has a nanotechnology department that’s been developing photovoltaic color solutions for many years. 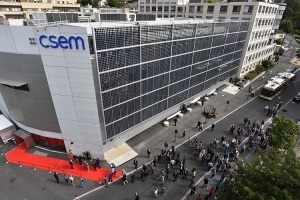 CSEM-ISSOL partnership aims to improve the efficiency of solar panels that can harmoniously integrate into the architectural design for the future. CSEM has a keen interest in the good performance of the ISSOL solution for active facing colors. This is to improve performance and profitability, while reducing production costs and installation. 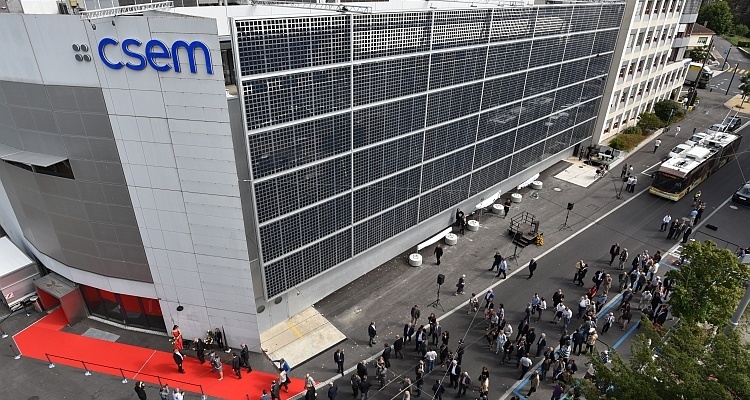 Already, the investment made for a façade, made from solar energy materials can be paid back in less than ten years. Normandy, as we know, is the cradle of Impressionism like the illustrious figure Claude Monet (1840-1926). 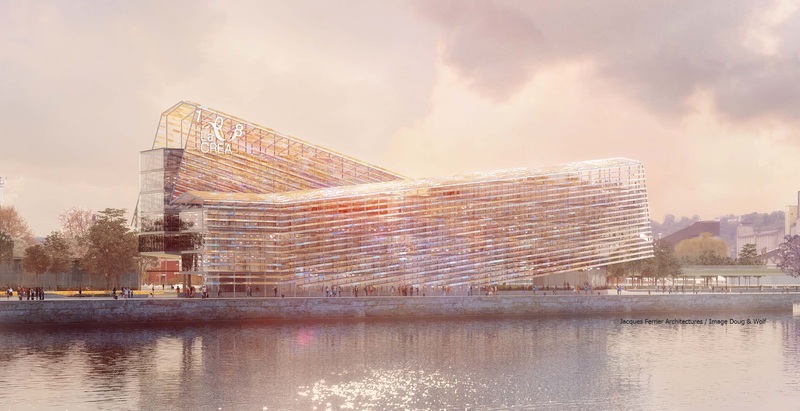 To give an Impressionistic touch to the futuristic building that CREA (Community Edbeuf Rouen Austreberthe) built with Passivhaus and BEPOS labels on the left bank of the Seine, it called upon the talent of ISSOL, Belgian company, which set up the zoning of Plénesses in Dison (Province of Liège). This is an opportunity to highlight the fine knowledge of ISSOL to integrate aesthetics with architecture that supply clean electricity from sunlight. Gone are the images of houses with roofs disfigured by solar panels with very little aesthetics. None of that at ISSOL, who, as a company of the XXI century concerned about sustainable development dared to bet on novel formulas for new generation panels that combine the architectural beauty with the production of electricity through natural radiance of our star. This treatment of sunlight made ISSOL a designer and manufacturer of energy-active materials and glass roofs that construct with a style of forward thinking. Our reputation, if it exceeds our borders, deserves to be better known for the photovoltaic dimension which is an integral part of a building and makes it active by providing an extra touch. This is what has earned us to participate in constructing a wide variety of spectacular infrastructure. Its current implementation in Rouen (West of France) concerned with the provision of 5.385 multicolored glasses of 15 different models for Hangar 108 of the CREA (Community Rouen Edbeuf Austreberthe) that is being built on the site, currently rehabilitated, is the city’s most important port heritage in Normandy. The building will not go unnoticed and will be the new headquarters of the Metropolitan Rouen, Normandy, in 2017, will bring services together that are currently scattered in several buildings. There are around 560 people who will have their offices and meeting rooms. The construction, resolutely futuristic in character, in the new Ecoquartier Flaubert in Rouen, intends to pay tribute to impressionists and offer energy and environmental performances. The faceted envelope and transparent architecture hints at the shell of an impressive ship that is designed to play with the light variations of Norman sky, water reflections and colors that time changes … The staff and visitors to the CREA will have the impression of living in the light of Rouen Cathedral, just as the artist Claude Monet had immortalized in his several paintings. Inside the building with spectacular photovoltaic lines, one gets the feeling of taking a bath in the light effects. This impressionistic effect is achieved by a system of graceful double facades with a subtle play of mirrors, containing several of 2,000 m² of second generation solar cells, which are developed and manufactured by ISSOL for our prime contractor, Jacques Ferrier Architectures. The Cathedral in Rouen is pixilated on the facade of the building. In August, the production of multicolor photovoltaic glass roof for the building of CREA will be in full swing in the workshops of ISSOL. This delivery of high quality is a contract for an amount of approximately € 1 million. 1/20 of the total cost of investment for infrastructure is in artistic cachet. The facade concept “double skin” will play a role in passive thermal protection – PassivHaus and BEPOS labels – and allow workspaces in administrative complex to have windows protected from the wind. Furthermore, on the roof and the southern parts, the 5385 glass elements of different colors that are produced by ISSOL will contribute to lighting effects that make the building less massive, while contributing significantly towards energy self-sufficiency, for efficient savings of power. Certainly, Hangar 108 of CREA serves as an architectural masterpiece of impressionist character that makes for a fine example of sustainable development-oriented infrastructure. ISSOL has been offering architects with innovative solutions that can integrate Photovoltaics in any construction for the past ten years. The motto is BIPV. Meaning Building Integrated Photovoltaics. This concept, associated to the energy of tomorrow –each day distilling our star, the sun- is to construct architectural structures, public utility buildings and buildings for industrial purposes, which generate electricity throughout the day. It implements a triple objective: the aesthetic design of a building looking to the future, enhancing the status of the brand image of a company through its buildings and cost-effective production of clean electricity. The technology of ISSOL is already being offered to architectural firms as a real alternative to the conventional building materials.